I’ve got a little treat for you today. A thank you for following along on this crazy blogging/life journey of mine. I am starting to create some items using some of the photos that I’ve taken over the years (it’s actually something a few people had suggested when they took my reader survey a few months ago) and for now I’m branching out (flower joke) by doing an iPhone wallpaper and an accompanying desktop wallpaper. All in a fun tulip design, because . . . well, it’s March and nothing shouts SPRING like a big old bunch of tulips. And just because I use the term iPhone it does not mean it is exclusively for an iPhone. I was an android user for YEARS and only recently switched over to the dark side. 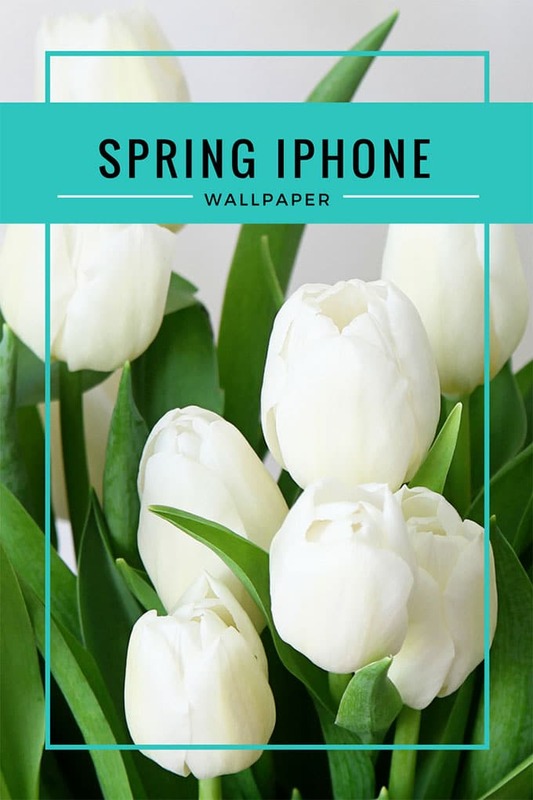 The iPhone wallpaper is sized to work well with the iPhone 6+ and 6, but should work with Android phones also. And the desktop wallpaper is sized to work well with full-sized Macs or pc desktops. Now, the photos SHOWN here are so you can see what they look like. Period. I took great care to make the actual photos that you should download to industry specification (I got a bit geeky about it), so please use the downloadable photos for actual use rather than these dummied down “sample” photos that would probably look like poop on your phones and computers. I don’t want poop on your phone anymore than I want it on mine. 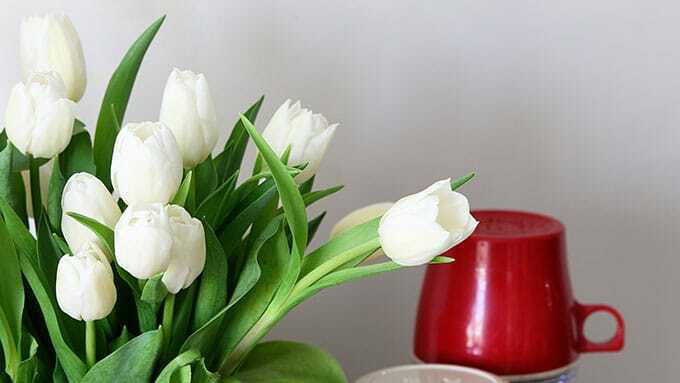 And if you have a keen memory, you’ll remember these tulips from my Decorating With Flowers Farmhouse Style post last week. 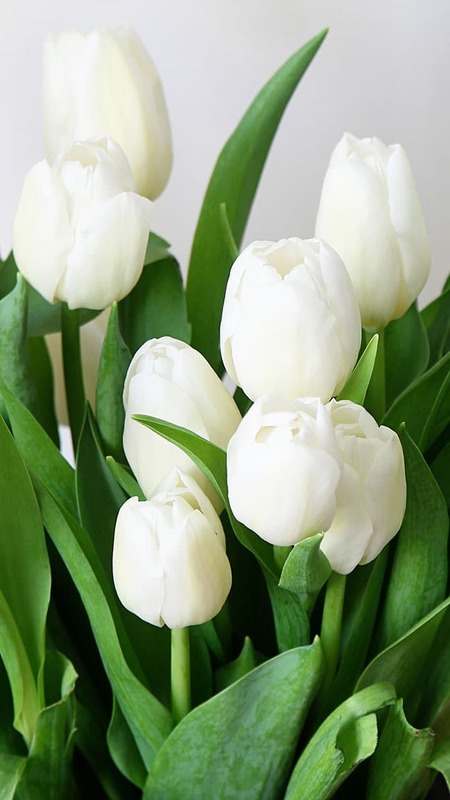 If you’re old like me and can forget what you had for breakfast ten minutes ago, then, hey they’re a whole new batch of tulips here! I am not a fan of wallpaper. Yuck! OK I’ve downloaded the desktop wallpaper, now how do I get it onto my desktop? It is a beautiful picture! Are you on Windows? If so you find what file the photo is stored in (might be in your Downloads file), click once on the photo to highlight it in blue and then right click. You should see a menu come up on your screen and the second item down is Save As Desktop. Just click that. If you ended up double clicking on the photo and it is full screen, just right click, then click on Set As and it gives you a choice of Set As Background. Well aren’t you clever! 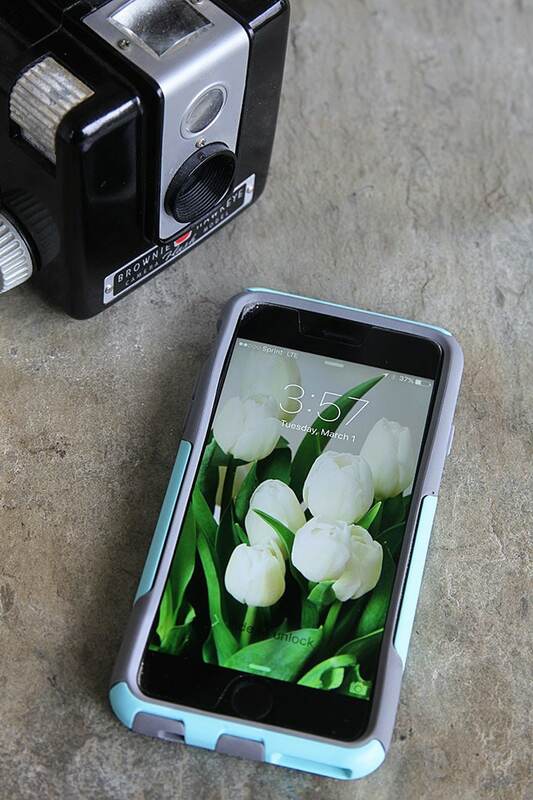 One of these days I’m going to actually have to join the rest of the world and buy a new phone so I can decorate it with pretty wallpaper that you design!